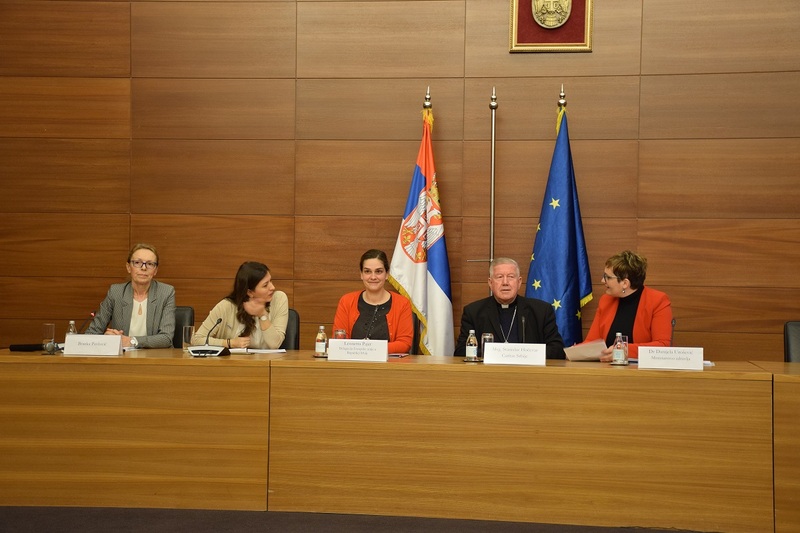 The National forum on Social inclusion of persons with disabilities and people with mental disorders was held in Belgrade on Wednesday, April 10. 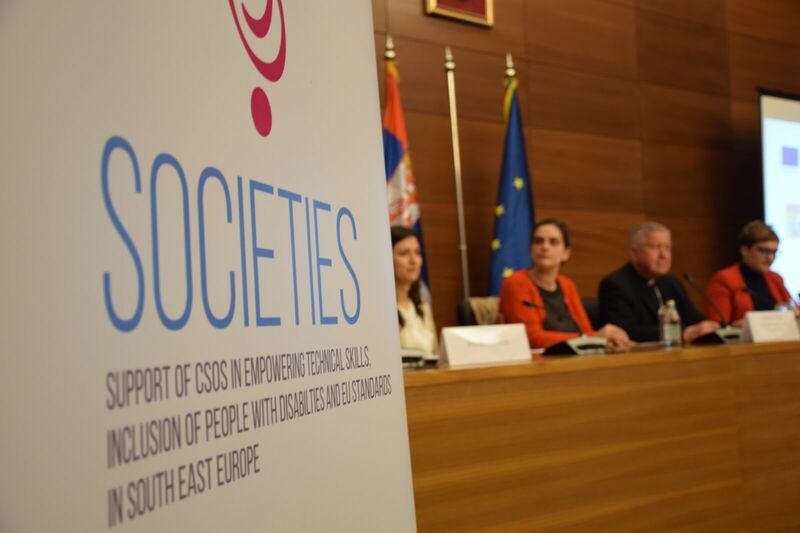 The Forum was organized with the aim of discussing the recommendations produced by the Working group for social inclusion, formed within the project SOCIETIES and presenting sub-grantees’ best practices. 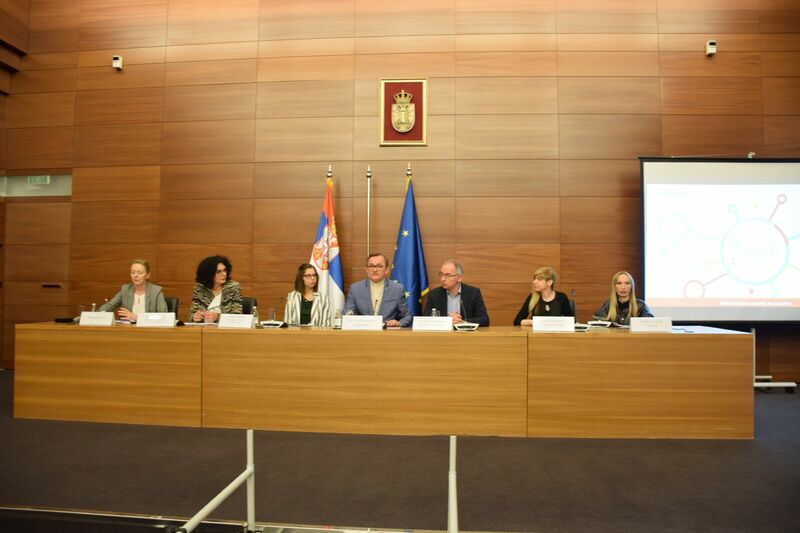 The National forum was organized with the support of the Ministry of Health of the Republic of Serbia. 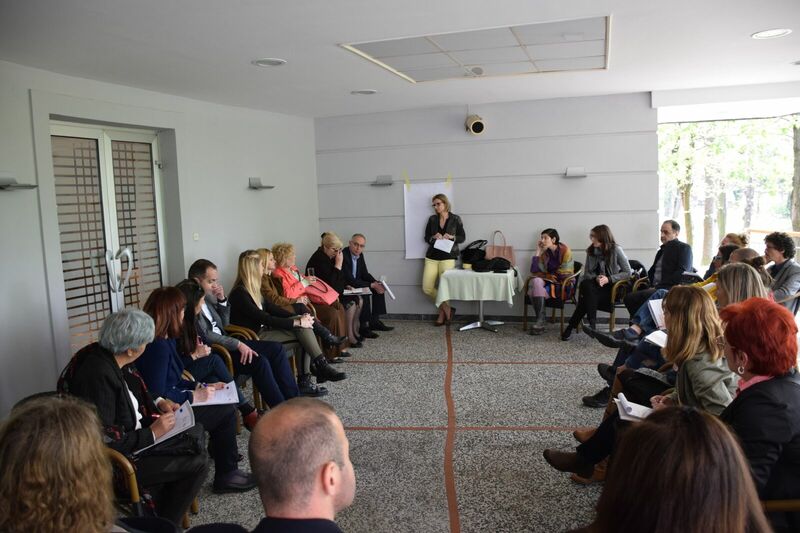 After plenary work, the participants split in two groups in order to discuss the problems faced by the targeted groups – Group for discussion on social inclusion problems of persons with disabilities and Group for discussion about social inclusion problems of people with mental disorders. The work in groups aimed at collecting feedback regarding the recommendations produced within the project and related to the stigma, lack of social services that would provide necessary support for the living in the community, and employability of PdW and persons with mental disorders. In the end, both groups agreed that prejudice, stigmatization, and lack of information represent huge obstacles for the social inclusion of persons with disabilities, especially of people with mental disorders. It was emphasized that the media plays a crucial role in the creation of public opinion about this vulnerable category, and that is important to start fighting prejudices in a systemic approach. It was also highlighted that it is essential to propose a new subject, health education, which could be very useful in creating a different cultural environment. From a very young age, children should be taught about equality, tolerance, and respect towards diversities. The lack of social protection services in the community, as well as the lack of multi-sector cooperation (especially between health and social protection sectors), was recognized as one of the biggest problems in the implementation of social inclusion and deinstitutionalization. Employment of persons with disabilities and people with mental disorders, as an essence of social inclusion, was also one of the main topics. The organizers thanked the participants for their contribution to the finalization of the recommendations that would be delivered to all relevant stakeholders and decision makers. The forum started by broadcasting an insert from the documentary film In search of inclusion and ended with the broadcast of the video Don’t tell me what I can’t do, ask me what I am capable of, both produced within the project SOCIETIES.